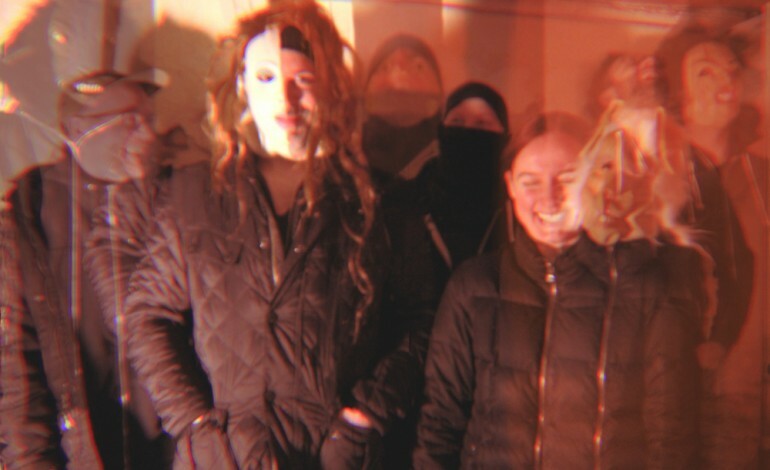 Black Moth Super Rainbow, BMSR, is American experimental electronic band from Pittsburg, PA. BMSR’s current member is frontman, singer, and songwriter Tobacco. The band has produced six studio albums, the most recent being Panic Blooms. Panic Blooms is a dystonia type album that involves psychedelic sounds. The trippy four minute music video for the band’s song “Backwash” opens with a guy sitting alone surrounded by strange looking food. The video then moves to a girl sitting at a different table while also being surrounded by strange food. The couple is followed throughout the video, showing a progression of the two people.The video ends with the same set up as it started with. The best way to describe the new video is trippy. According to mxdwn the band will be touring this summer in support of their new album. The tour will begin on May 31st in Washington, DC and wrap up in Nashville, TN on August 18th. The tour includes performances in America and in parts of Europe. The band will also perform in the Meltdown Festival in London.